Don't believe Hetlau? Need examples and/or evidence of their presence here on Earth. Using precognition and wormation you can see it happening on a daily basis. Having a site like etufodisclosure.com where an understanding of what they are doing is provided for you so you don't have to do the heavy lifting of trying to discover it, you just have to try to understand it. No one in the ET & UFO community would stop to think the recent Lava flows in Hawaii would reveal Hetlau presence. Sure enough though, with millions of them living here on Earth (estimation theory) and the facilitation of an ETA taking place it is a perfect opportunity to see them in action. Have you heard (article) how there is a word that has been formed (word formation is wormation) called LAZE which means Lava hAZE? Traditional linguists would call this a portmanteau made up of two morphemes. Hetlau call it the use of porphemes. 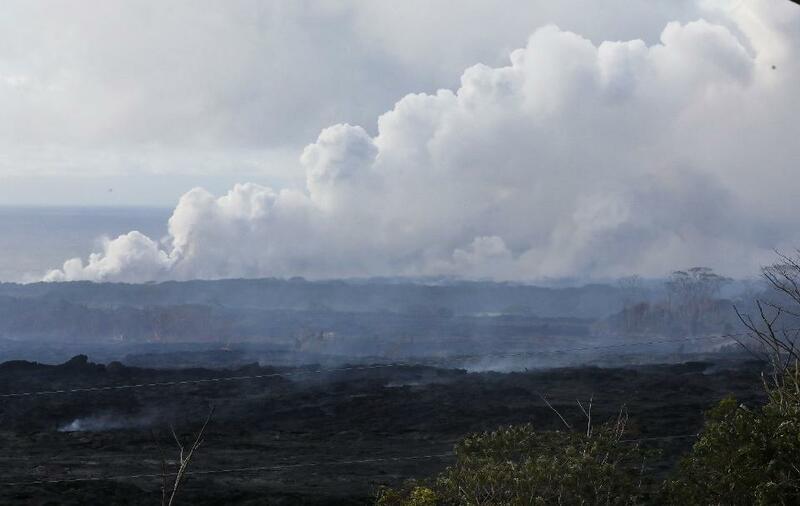 They also have a term VOG meaning Volcanic smOke and foG. EA just discount all this as normal language evolution. What EA don't realize is all languages on the planet were placed here by Hetlau. Knowing this in advance you can deconstruct existing words and preconstruct new non-existant words using wormation techniques and see Hetlau reality taking place in front of you that other EA who are not willing to spend the time and energy reviewing are oblivious to. Most EA are not able to see things in the distant past that existed before Earth existed and then realize examples of seeing them exist now are confirmation of Hetlau presence. Laze and Vog give you an opportunity to see the process in place with concepts that existed in the distant past that are just being revealed in the near present. Laze and Vog have always existed on Earth as long as there have been Volcanoes on Earth. EA are only aware of them when the new words are formed. Using the process of realizing something existing already a long time ago and seeing the Hetlau reveal it in the new word formation allows you to get your mind ready to start seeing things that existed in the distant past before Earth existed that Hetlau will be revealing here on Earth in the present. Using etufodisclosure.com as a tool to get cutting-edge examples of what is really happening and then using precognition to train your mind to comprehend their reality allows you to see what is really happening on Earth. Knowledge of this will prepare you for disclosure so you won't be caught off guard. If you are really picking up on what is happening you don't need to wait for ETA disclosure you can help the cause and try to force premature disclosure by signing the Extraterrestrial Disclosure Petition and getting others to sign it as well. Newer PostHow Do We Know The Universe Is Infinite?